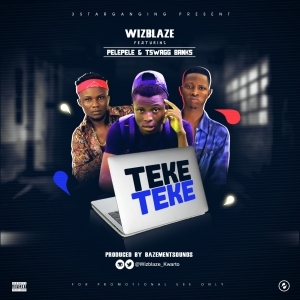 Wizblaze aka Kwarto is here again with Another dope Tune Titled “Teke Teke” Featuring Pele Pele (1st YBNL Artist/ The Scammer Crooner) & Tswagg Bank (Igbalode Crooner/Ibadan Poly Front Liner). Ya’all Already Know his Songs Are Fire Back to Back. Download and Judge it Your Self.